Our Connections determine who we are. Our ability to connect emotionally and spiritually determine the quality of our lives whether it’s a connection to self, others, or to the God of our understanding. The above task is not simple but a complex remarkable journey to the inner self, to the body, to the soul, to the spirit. I am sure we all have unique methods to assist our clients on this journey, but like any journey there is always planning, preparation and pursuit. I have found psychodrama, as an energizing, directive, innovative tool in this journey. Psychodrama is an action method that helps clients understand the roles they play and gives the therapist tools to assist clients with change. J.L. Moreno, the father of psychodrama, believed the self emerges from the roles we take on. In observing our clients we come to understand the more fragile they are, the more rigid one becomes where they take a role and hang on to it until they become role locked or role fatigued. Roles are developed by first taking the role, second playing the role and thirdly creating the role. Remember when you first became a therapist? That’s when we took the role and followed all the rules and was fearful of making a mistake and always checked with others to make sure we were doing the job correctly. Later as you began to play with the role you relaxed a bit and started adding some of your own creativity to the role. Lastly after some time you were able to make the role yours, adding your own unique styles, methods and moving into a new level of spontaneity and creativity. Then something new comes along and we go back to the beginning and work our way through the new learning. This process continues for a lifetime, as we create change and new cultural conserves. Within the role theory, we can access the act of the hungers, the desires, the wishes and needs that originate in the body that can only be fulfilled thru actual body movement or interaction. The body shuts down movement in order to protect feelings and it shuts down feeling in order to lock down the body. This is where action techniques helps release our clients from the body/mind disconnect and brings awareness through relationships. In relationships there can never be a “we” until there is an “I”. It is about forming connection with the parts until they become real. Reality equals how I think, feel, behave and how we are in our body. But often in an addictive process the thinking is distorted, the feelings are shut down, and the behaviors are not appropriate. There is a major disconnect from the body. The methods of psychodrama involve the ABC’S of connection. Affect, Behaviors, Cognition and Spirituality. This method allows one to experience the past and the future, all in the present here and now which allows for reality testing. The following is an exercise you can safely execute with your eating disordered clients. It’s called the play of life: Designate an area in the room to represent a stage about 4 feet by 5 feet and mark if off with tape so the client is aware this represents the action area. Have client pick someone in the group to be her body at present (this person is called an auxiliary) and put them in the stage area and sculpt them according to how the clients feels about her body. They may be standing with their back to the client, lying down on the floor with their face on the carpet, or curled up or bowed down. Now ask the client to stand where she feels she is, in relationship to her body, whether on the stage with the body, or across the room. Look for distance, and stanch to determine how they feel toward the body. Now have the client reverse with the body, where the auxiliary becomes the client. From this role reversal, ask the body, what do you want to say to your owner? If the client is ready, ask her what the second and third step would be if she started connecting with her body. This becomes a rough treatment plan of the work the client needs to do. THE CLIENT ALWAYS KNOWS WHAT THEY NEED TO DO IF YOU GIVE THEM AN INROAD TO ACCESS THE INFORMATION. Check in with your client regarding their fear of connection with their body. (Question, if you got connected with your body what do you think would happen? If they say “I’m not sure”, have them become the part that is sure and speak from that place. Ask the same question as related to their emotions and their spiritual connection). This simple technique will assist you to gain insight into your client but it is even more affective because the client experiences the disconnect in her body and the process of change. If you want to encourage the client, ask them to step into a future projection and show us “how you would like it to be with your body”. I have seen them move into a bone-crushing hug even though in reality they could not tolerate that level of connection and in action, they will acknowledge that. Always give the client permission to be where they are but to encourage them on their journey. It critical that we, as clinicians, have our own powerful connections so we do not ask any clients to fill our own needs. Learn about these procedures and psychodrama as a method for individual and group work at my training in July, 2014. I am a Trainer, Educator, and Practioner of Psychodrama and can give training hours toward certification. I am also an iaedp™ approved supervisor. The Professional Development Institute at Crossroads is offering a three day psychodrama training with Mary July 17-19, 2014. It offers 21 ce’s. This is the only psychodrama training Mary, who is nationally known, offers in Illinois. There are special discounts if you register a group of 3 or more people from one organization. Each person should register and use the discount code GROUP at checkout to receive the discount. There is also a discount of $50 if you register between May 20-27, 2014. Use the code MEMORIALDAY at checkout to receive the discount. You can also call 800-348-0937 or email bresourceful@earthlink.net. 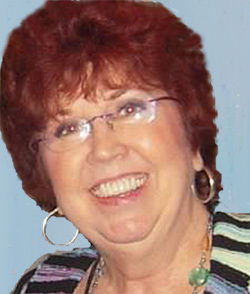 Mary is owner and President of Mary Bellofatto Consulting. She has been in the mental health field for over forty years, leading retreats, seminars, trainings, and program development in the eating disorder field nationally, and internationally. She is a Licensed Mental Health Counselor with the State of Florida, a national Certified Counselor, a Certified Eating Disorder Specialist and a certified Trainer, Educator, and Practitioner of Psychodrama. Mary is presently on the Board of Directors for iaedp™ and the Executive Counsel of the American Society of Group Psychotherapy and Psychodrama. She is an award-winning speaker, a Toastmasters Bronze, Who’s Who in U.S Executives, and Lexington Who’s Who of Executives And Professionals. She consults with a number of treatment centers in the U. S. & Canada, training staff and program development. Mary is also an approved supervisor of iaedp™ and serves as Immediate Past President of the International Association of Eating Disorders Professionals Foundation (iaedp™) Board of Directors. Crossroads has programs for Anxiety Disorders! Social Anxiety Disorder is the extreme fear of being scrutinized and judged by others in social or performance situations. It is not simply shyness. People with this disorder may have few or no social or romantic relationships, making them feel powerless, alone, or even ashamed. Although they recognize that the fear is excessive and unreasonable, people with this disorder feel powerless against their anxiety. They are terrified they will humiliate or embarrass themselves. Generalized Anxiety Disorder is persistent, excessive, and unrealistic worry about everyday things, often expecting the worst, even when there is no apparent reason for concern. Sufferers anticipate disaster and are overly concerned about money, health, family, work, or other issues. They don’t know how to stop the worry cycle even though they usually realize that their anxiety is more intense than the situation warrants. • Although the exact cause is unknown, there is evidence that biological factors, family background, and life experiences, particularly stressful ones, play a role. If you suffer from anxiety, research suggests that you may run a higher risk of experiencing physical health problems. In the past 30 years, there has been considerable interest in the relaxation response and how inducing this state may benefit health. Currently, there is some evidence that relaxation techniques may be an effective part of an overall treatment plan to relieve anxiety. Women who use yoga to relax during pregnancy reduce their risk of developing anxiety and depression. Stress during pregnancy has been linked to premature birth, low birth weight and increased developmental and behavioral problems in children. A University of Manchester research study shows that women who attend one yoga class a week for eight weeks had decreased anxiety scores compared to those who received normal antenatal treatment. A single session of yoga was found to reduce anxiety by one third and stress hormone levels by 14 per cent. • Take a time-out. Practice yoga, listen to music, meditate, get a massage, or learn relaxation techniques. • Eat well-balanced meals. Do not skip meals; keep healthful, energy-boosting snacks on hand. • Get enough sleep. When stressed, your body needs additional sleep and rest. • Exercise daily to help you feel good and maintain your health. • Take deep breaths. Inhale and exhale slowly. • Count to 10 slowly. Repeat, and count to 20 if necessary. • Do your best. Don’t aim for perfection, which isn’t possible, be proud of how close you get. • Accept that you cannot control everything. Put your stress in perspective: Is it really as bad as you think? • Welcome humor. A good laugh goes a long way. • Maintain a positive attitude. Replace negative thoughts with positive ones. • Get involved. Volunteer or find another way to be active in your community creating a support network and a break from everyday stress. • Learn what triggers your anxiety. Is it work, family, school, or something else you can identify? Write in a journal when you’re feeling stressed or anxious, and look for a pattern. • Talk to someone. Tell friends and family you’re feeling overwhelmed. Let them know how they can help you. Talk to a therapist for professional help. Most people with anxiety who seek treatment, experience significant improvement and enjoy an improved quality of life. Crossroads Programs for Women can help! Call us today 800-348-0937 Our intensive outpatient programs are different!